MAMA LOTION worked WONDERS for my hyperpigmentation in just 1 month! Hi everyone! I usually post on the personal regimen logs, but I wanted to share with you guys my experience with MAMA lotion. 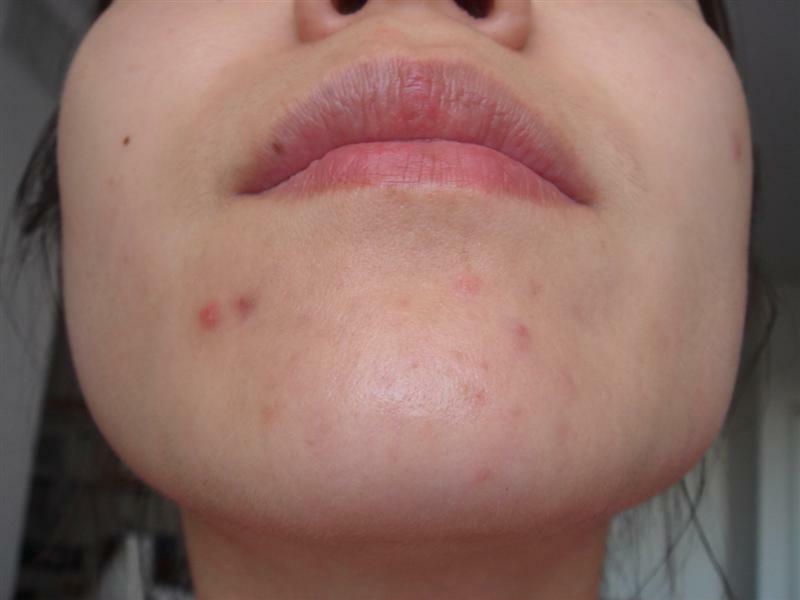 I had previously been using Differin for several months now with inconsistent results, a lot of purging (cysts and smaller pimples on my chin), all of which left me with tons of hyperpigmentation (red and brown) spots on my chin. After months of my regimen, I was feeling pretty hopeless with my situation, and frustrated that my differin regimen was not working. Then I decided to introduce MAMA lotion to my regimen. After 2 weeks of using MAMA every other night, alternating with Differin, my hyperpigmentation lightened significantly. Now, it's been almost a full month, and I wear significantly less makeup! My cysts have fallen off, I didn't get any new cysts this month, my hyperpigmentation have lightened, and my chin's skin tone is much more even. Some of the hyperpigmentation had been there for months too (and differin didn't really get rid of them)!!! I tried MAMA, but I think I stopped too early.. Wasn't using it like I was supposed too. Does it smell to you? After being on for 20+minutes? I couldn't stand it, though it might had been just me. Hi dNA! Yea, i have a few darker brown spots that are taking more time to go away, but I feel confident that they should fade in time with regular use of Mama. I can tolerate the smell. I actually don't notice it anymore. It's a weird acid smell. How long did you use mama? On and off about 4 weeks.. I was using it before bed everyday then started downhill applying it. Did everyday use cause peeling or irritation at all? 4 weeks should have been enough time to see results. Anyways, if you decide to try it again, I wish you good luck! Your skin looks great (the before pic as well) didi. Do you think MaMa would help to fade very blotchy skin too? I have almost no active acne though my skin needs TONS of cover up to look ok (not even good after all that). What do you think? I guess it costs a lot to get it shipped to Scandinavia as well..
they have a lot of before-after pictures of people with different skin conditions, so maybe that can give you a better idea. Good luck in Scandinavia! Oh sorry, I mean hyperpigmented and very uneven-looking skin (I need to cover up with lots of concealer and foundation, especially around mouth and chin). The only place on my face which looks like somewhat even skintone in my forehead. Yeah I saw the pics on the mama website and it seemed to good to be true almost. But I am thinking about trying it especially since you posted pics as well.... The reason I asked was because I though your skin looked great to start with and that it might not yield any results for me since I have more uneven skin with darks marks all over. I've been using Mama Lotion for a little over a month twice a week. With Results! No more cystic acne. and the marks are fading. I'm starting to use it every other day this week and see how it goes. I think a month of 'adjustment' is enough. What do you guys think? should i do every other day or just stick with twice a week (slow progress). Hi! I'm glad to hear you are also benefiting from MAMA. The directions say that you can definitely transition to every other day after a short adjustment phase. But it really depends on your skin type, so scale back if you experience any irritation or peeling. Good luck! well I'm peeling a tiny bit but it's not even noticeable (and that's @ 2 times a week). It's most evident after a shower then i pat dry my skin. It's no biggie and my skin is definitely not irritated. I'm going to transition to once every other day. I hope my PIH fades more or better, completely in a month! I'm just a bit nervous, but do want to even out my skin tone and hyperpigmentation! I am asian and have yellow based skin tone, and have not had any problems with using MAMA. I also read the reviews that some people with darker sin have experienced discoloration, but I can't attest to any of that given my experience. According to the MAMA website, MAMA is safe to use on darker skin. My only piece of advice is that you never know until you try. I too hesitated with MAMA for a few weeks because I also read that it made some people's skin worse, but MAMA has only helped me. It really depends on your skin type. If you do decide to use MAMA, definitely slowly transition and adjust to it, so don't use it more than 2 times a week. And if your skin does not react, slowly build up to every other day. Good luck! Any info would be awesome. Thanks so much! Hi! Yea, I have pictures up way up on my first posting. Glad you saw them. MAMA is an alpha hydroxy acid, so you should be ok with it (i see that you are allergic to BHA). But I would spot treat for a few days just to be sure. Good luck! didi, how do you use mama lotion exactly? I tested the MaMa lotion last night on my forehead, and so far, so good! I think I'm going to try it 2 x per week at night! Hi Mans. I generally use about a pump's worth of MAMA on my face (sometimes 2 pumps if I want to put it on my neck to smooth out wrinkles there), every other day. I don't use an additional moisturizer. On the days I don't use MAMA, I use Differin. The MAMA directions says to start off 2 times a week first, and then slowly build up to every other day. I don't know what would happen if I were to use MAMA every day. It may be too irritating.